There is no longer any question that exercise is good for the body. We know that consistent exercise can help you remain healthy, lose weight, reduce the concentration of blood glucose and cholesterol and help you remain agile and fit as you age. However, the many benefits of exercise are not only limited to the body but also the brain. Almost everyone who exercises regularly will say that they feel more confident and have improved self-esteem but even more importantly, the mental benefits of exercise persist for many years. 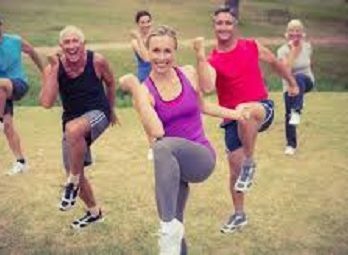 There are many reports that seniors who regularly exercised have excellent mental health, stable mood, excellent memory, good cognition and a lowered risk of dementia and other related disorders. A study done in Canada found that regular aerobic exercise appears to increase the size of the hippocampus, the area of the brain that is involved in learning and verbal memory. Interestingly, they did not see the same brain benefits after resistance and muscle toning exercises. However, this was not a well-controlled study and the population they studied was not homogenous. Additionally, the study was of very short duration. Today, most experts in sports medicine agree that almost any type of physical activity can boost brain function. The most important thing is that the exercise has to be regular and consistent. Any exercise that increases the flow of blood to the brain can provide these benefits including cycling, swimming, jogging, or even walking. These benefits of exercise on the brain come at an important time. Almost every four seconds there is a new case of dementia being diagnosed somewhere on the planet. It is estimated that by the year 2050, there will be more than 115 million individuals with dementia. There is no treatment or cure for dementia and the quality of life for most of these individuals is very poor. Hence the importance of exercise. Exercise is known to help thinking, memory and cognition. The benefits of exercise are not only directly related to extra blood flow to the brain, but exercise can decrease inflammation, lower insulin resistance and augments the release of growth factors or neurotransmitters in the brain that can increase the growth of new blood cells and prolong their survival. At the same time exercise is known to improve sleep and stabilize your mood. Many people who exercise regularly also state that they have significantly less stress and anxiety, and are better able to function in everyday life activities. Recent studies reveal that people who exercise tend to further develop parts of the brain that control memory and thinking compared with individuals who lead a sedentary lifestyle. These studies also reveal that it takes at least 3-6 months of moderate exercise to increase the volume of the brain involved in memory and thinking. So how much should you exercise? Experts recommend that at least 30 minutes of exercise most days of the week. For those who are starting out, increase the level of activity gradually by 5-10 minutes per week until you attain your goal. More important, you should select an exercise that you enjoy so that you will not give up after only a few days. Remember to focus on eating a plant based diet as this will also help your energy levels throughout the day. Get an accountability partner (or a personal trainer) so that you have someone to help motivate you when it gets difficult to make the right decisions. There is no better medicine than exercise- so start today! !